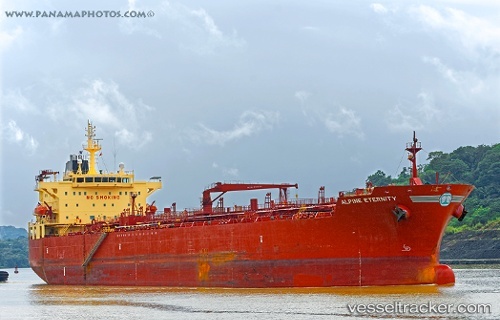 The Maritime and Port Authority of Singapore said on Monday that it has requested the Iranian maritime authorities to investigate an incident last week when Iranian vessels fired shots at a Singapore-flagged tanker in the Gulf. Alpine Eternity, the vessel that came under fire, had collided with an Iranian oil drilling platform in March, which triggered a call from Iran to its neighbours to seize the ship and hand it over to Iran. Singapore's MPA said that it requested its Iranian counterpart prevent future recurrences, as the freedom of navigation and free flow of commerce are of critical importance to Singapore and other countries. "Such interference with navigational rights is a serious violation of international law," it said in a statement, adding that Singapore was deeply concerned by such actions.